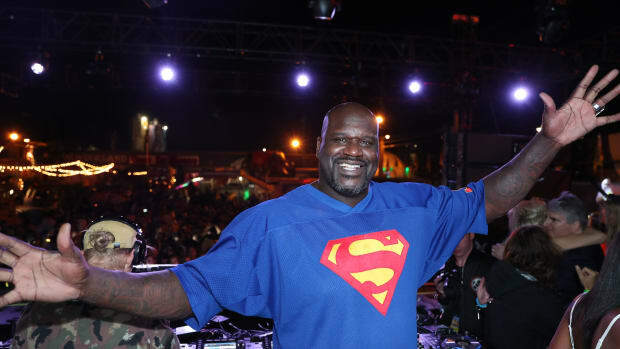 In February, Shaq will host a party to coincide with the 2019 Super Bowl. 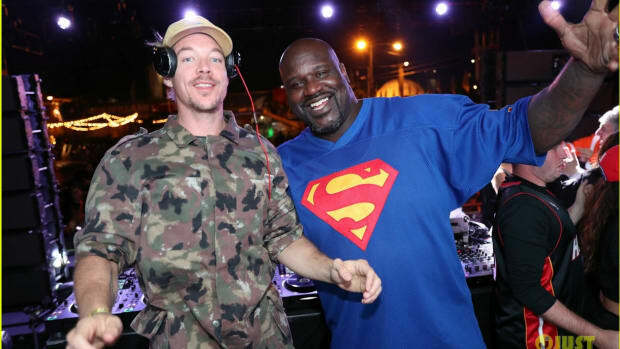 Whether you know him better as Shaq or DJ Diesel, there&apos;s no denying that former NBA icon Shaquille O&apos;Neal rubs shoulders with superstars. 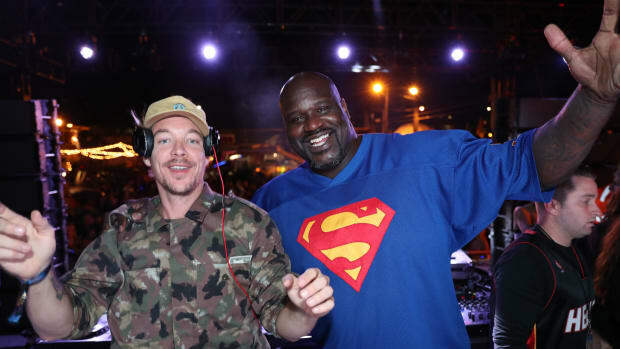 He&apos;s leveraged his celebrity for an event brand called Shaq&apos;s Fun House in recent years, and its next installment takes place in Atlanta on February 1st, 2019. 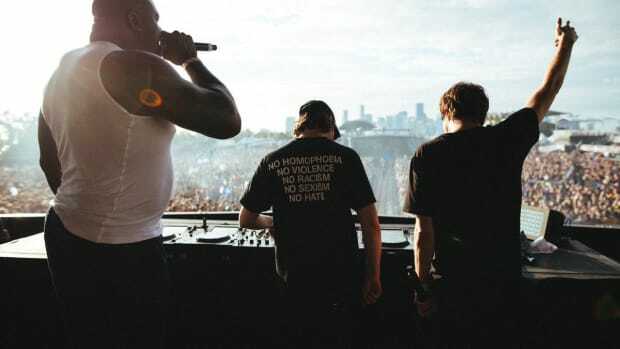 Tiësto, Migos, Diplo, Lil Jon and T-Pain are among the world-class entertainers billed for the event, which will take place at Live! At The Battery at SunTrust Park. O&apos;Neal is slated to perform as well, in addition to that of Mystére by Cirque Du Soleil. Two days later, the 2019 Super Bowl takes place at Mercedez-Benz Stadium in Atlanta. O&apos;Neal inaugurated the Shaq&apos;s Fun House series with an event in March of 2018 that saw performances by the likes of Steve Aoki, A-Trak and Carnage. 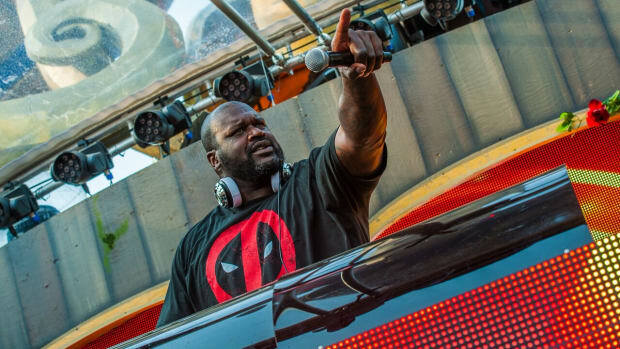 Each party aims to pair world-class talent with an interactive carnival experience, and all have coincided with a major sporting event. 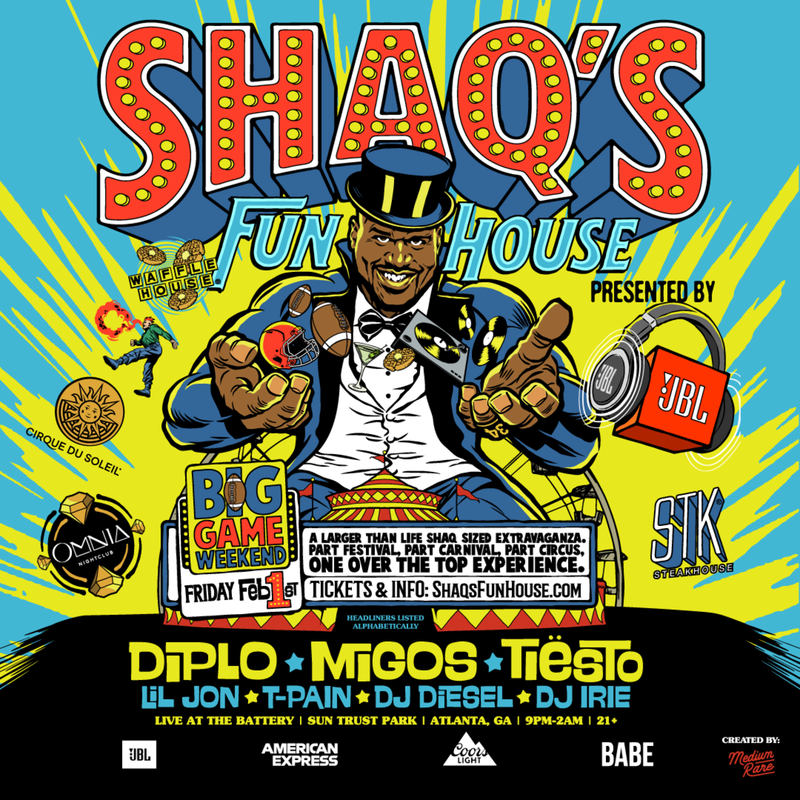 For pre-sale tickets (exclusive to American Express cardholders) and additional information, visit the Shaq&apos;s Fun House event website.